The California Democrat's comments at a rally Saturday in Los Angeles protesting President Donald Trump's immigration policies days after the veteran lawmaker said she had to cancel speaking events in Alabama and Texas this weekend due to death threats. Those threats came after she exhorted opponents of Trump's immigration policies to confront and harass Cabinet members wherever possible. "Already you have members of your Cabinet who have been booed out of restaurants," she said in remarks last weekend directed at the president. 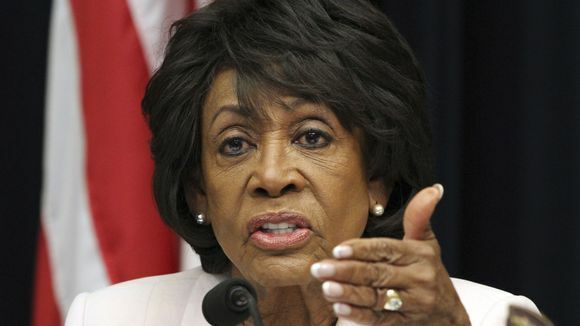 Waters, who has repeatedly called for Trump's impeachment, was apparently pointing to an incident last week in which Department of Homeland Security Secretary Kirstjen Nielsen was confronted by protesters at an upscale Mexican restaurant in Washington, D.C. In addition, White House press secretary Sarah Huckabee Sanders said the owner of a Virginia restaurant asked her to leave Friday night because of her association with Trump. Trump warned Rep. Maxine Waters on Monday to "be careful what you wish for" after the California Democrat called on activists to confront White House officials over their immigration policies. "Congresswoman Maxine Waters, an extraordinarily low IQ person, has become, together with Nancy Pelosi, the Face of the Democrat Party," Trump tweeted. "She has just called for harm to supporters, of which there are many, of the Make America Great Again movement. Be careful what you wish for Max!" s not the first time Waters has suggested people thinking of firing at her should have good aim. At a town hall meeting in Ingelwood last year, Waters was criticizing Trump's former National Security Advisor Michael Flynn, when she heard a pop.